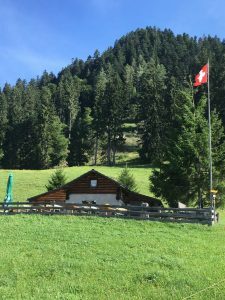 The alpine hut on the Ochsenberg, built over 200 years ago, is beautifully embedded in nature. This idyllic oasis inspired the writer Johanna Spyri so much, that she wrote around 1880 her world-famous Heidi story – a one of a kind kids novel. This original hut has in recent years become a desirable place for nature lovers to rest and relax.